When is the best time to spay or neuter a pet? Have you ever wondered when the right time is to spay or neuter a dog? 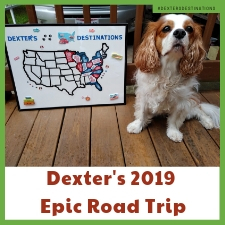 There is no doubt that overpopulation is a huge issue here in the United States, but is it healthier for your dog to spay or neuter early, or is it more beneficial for your dog to wait until he or she has reached social maturity, typically one to two years of age? 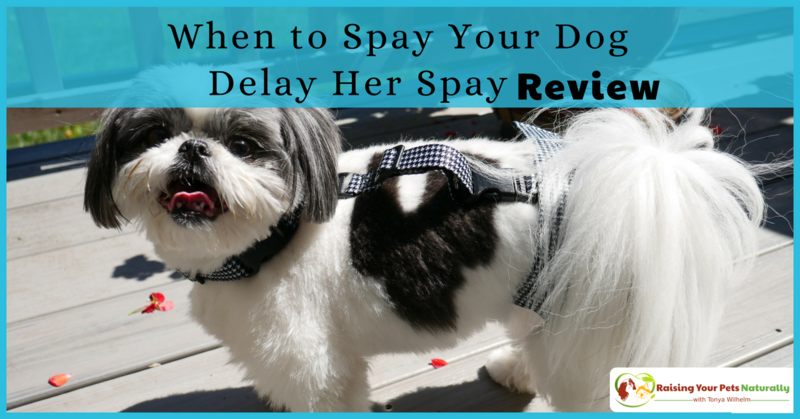 Today, I wanted to touch on some of the pros and cons of early spaying and neutering. A little food for thought for a later discussion. When is the Best Time to Spay or Neuter a Dog? 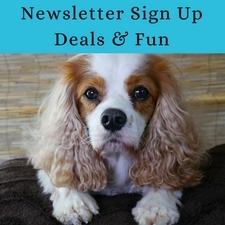 Asking when is the best time to spay or neuter a dog is not as simple as it may appear. This is also a decision you should not take lightly—due diligence, research and knowing your specific dog are key. There are also other non-traditional ways to sterilize a pet without desexing. Speak with your veterinarian before making your final decision. If you decide to wait until your dog has reached full maturity, responsible dog parents must ensure your dog does not wander and your female does not have an unintentional pregnancy. If you have a female dog, our friends at PABS Delay Her Spay have a unique product to help ensure a female dog in heat does not get pregnant! Delay Her Spay pet-breeding prevention harness is a unique natural dog harness that covers the girl parts, preventing any male from gaining entry. 😉 As a bonus, the Delay Her Spay harness also comes with its own Sani-T Pad™, which acts in the same way as a human sanitary pad. These pads are washable and reusable. And don’t worry—the harness still allows your dog to urinate and defecate while wearing the system. Yes, I tried it out on my dad’s dog, Vanessa. Although Vanessa is an eleven-year-old spayed female, she agreed to be my model and guinea pig. 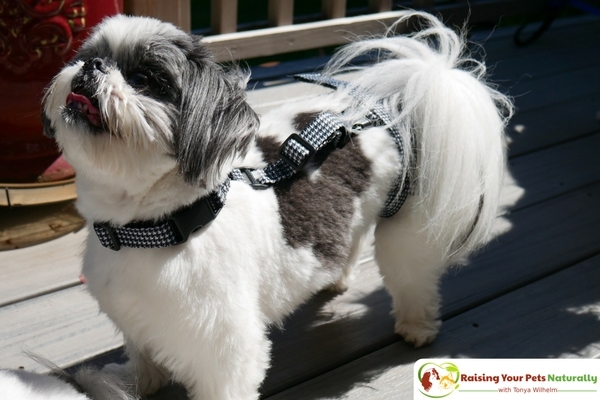 The first thing I noticed about the Delay Her Spay harness was the cute black-and-white gingham print and soft, flexible straps. The harness offers an eight-point buckle system, which is adjustable to ensure a comfortable fit. I have to admit, my eyes bugged out a bit when I saw all the buckles. But luckily, it came with an easy-to-follow instruction sheet, so it really wasn’t that difficult once I got rolling. The Delay Her Spay harness comes in five sizes, for dogs from 8-120 pounds. It is also highly recommended not to leave your female and male together unsupervised. 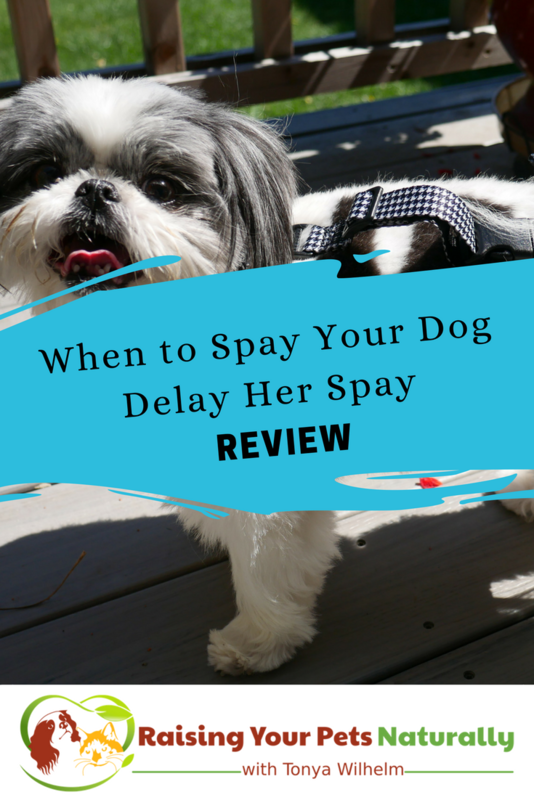 Delay Her Spay is an innovative, safe, and natural solution to keep a female dog from getting pregnant. The Sani-T Pad™ also keeps your home clean when your dog is in heat. 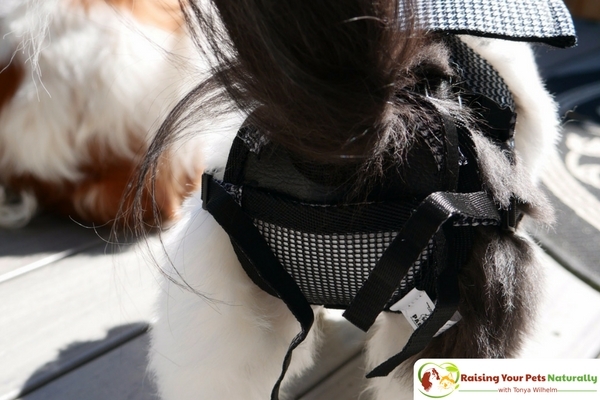 By using this harness system, you may safely wait to spay your dog when the time is right, allowing you to spay your dog when it’s best for her health, not just your convenience. Visit PABS Delay Her Spay today and use promo code: RaiseYourPetsNaturally10 for 10% OFF your first order. They offer a variety of videos, including seeing the system in action. What age was your pet spayed or neutered? Tell me in the comments. I always get a rescue pet and they come spayed and neutered. That harness actually looks pretty cute. It’s a great idea for those who have puppies. Two of my dogs were neutered as puppies. Both my cats were spayed as kittens. Very interesting! I also have always adopted rescue pets, so they have been spayed or neutered when I adopted them. I can see the advantage though of this harness for pets who are waiting to be spayed. This is super helpful. We are thinking of getting a puppy in the next few years and I know nothing. I knew that you should wait to fix (as I call it) your dog, at least that’s what I was always told as I got older and became a pet owner myself. 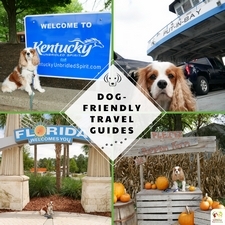 This is a helpful post for dog owners that don’t have any clue about this topic, it will help them make the best decision for the dog. Thank you, Brandy. I appreciate your supportive comments. I used to be friends with a woman whose Lab bled almost as much as a woman when she was in her cycle. She bought her special pants that held pads just to protect the house. Yikes! I bet that was a bit unnerving. It is always good to research the care of your pet. Thanks for the pros and cons on spaying or neutering your dog. I totally agree. Thanks, Lorelai. Wow, a chastity belt for a dog. That’s a new one. Love that they can still do other functions while wearing it. This is some great information here! Here in Norway you can only get your pets spayed or neutered for a medical reason! It is so crazy! Wow! I did not know that. How cool. This is fabulous information about spaying or neutering your pet. Some of these things I didn’t know. Important information and there isn’t just one right answer. Spay or neutering shouldn’t be a rushed decision. Nor should you feel pressured by a vet or anyone to have your dog desexed at any specific time. Sometimes not at all. Cute pups and great little device BTW. Thanks, Barbara. You are right about feeling rushed. I think a lot is the pressure like if you don’t do it now it’s the end of the world. It’s a big decision. This is great information! It is so important to spay and neuter our pets. While we don’t have dogs, we have kitties and this is so vital for them too! Thanks, Monica. The right time for their health is critical. I just finished dog sitting for a dog in heat and it was terrible, she was in so much pain, cried for days, licked like crazy… she is quite old as well… I wouldn’t do this to a dog if I was the owner, I believe that if you don’t want puppies you should spray your dog. Poor thing. I wonder why she’s in so much pain. I would suggest a vet visit if you haven’t already. I was given the advice to wait until after her first heat to spay my pug and it almost killed her. After her first heat, I had to wait a couple of months due to some financial issues and when I took her in, they found she had developed endometriosis and luckily caught it just in time. Only time can tell, but I REALLY hope the benefits of waiting until after she was sexually mature happen for her since it ended up being such a risk. What a great idea! My neighbor likes to breed their dogs but of course take breaks so this would be good for their dog. 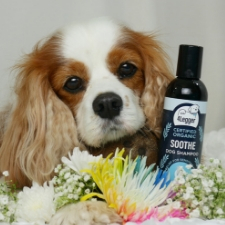 A great product for professional breeders! I had both my boys neutered and the process was really quick! From surgery to the healing process they were both good. That’s great. Yes, the surgery itself and healing is usually pretty easy on pets. This is great info to know. I had my dog and my cat fixed and I had to google when it was time to do that. I didn’t know. I think unless you are planning on having puppies to sell you should spay your pet. Thanks. It’s definitely something to consider. Two of my pets are rescues from a shelter and came spayed and neutered… but my poor kitten was found in a friend’s backyard. We had no idea when to spay her, and she ended up going into her first heat. It was the most adorable heat ever, she just went room to room trilling and then would roll around and purr. It was funny, but we spayed her soon after. We had our lab neutered when he was about 15 mos. It did help with him not wandering. He still likes to wander but at least now he returns home when we call for him. All of our dogs, with the exception of my son’s dog, and my dog (she was born from my son’s dog) were spayed/neutered when they were puppies. My baby wasn’t because they said her heart rate was too high. Come to find out it was because of nerves/fear. Poor baby. If you still have her, you can search my blog for canine anxiety, I have lots of articles. I work with anxious dogs daily. i had no idea that the timing of spaying and neutering was so important! We adopted our rescue puppy and simply went with what they told us she needed. I’m so glad to know this now just in case we decided to add to our puppy family . . . Thanks, Tiffany. 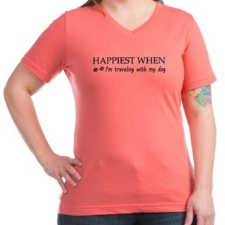 Trying to bring awareness that there are risks involved with spaying/neutering too early. We have to weigh things out. Great information! People might not know the facts if they never had a pet before. I didn’t even know about this harness. We had our pet spayed and she did fine. THanks, Tiffany. Yes, the actual spay/neuter is usually easy, but it’s the fact that we are desexing our pets before sexual maturity that causes the issues. This was such an informative post. I had no idea that this was such an important thing!